Many teenagers are filming themselves eating Tide PODS laundry detergent packets and then posting it on social media. Tide revealed their new eco-friendly design for their detergent container and it bears a striking resemblance to boxed wine. The Eco-Box purports to use less plastic and is more environmentally friendly to ship than regular bottles of detergent. Social media couldn't help but make the comparison after the Tide Pod challenge went viral at the beginning of the year. 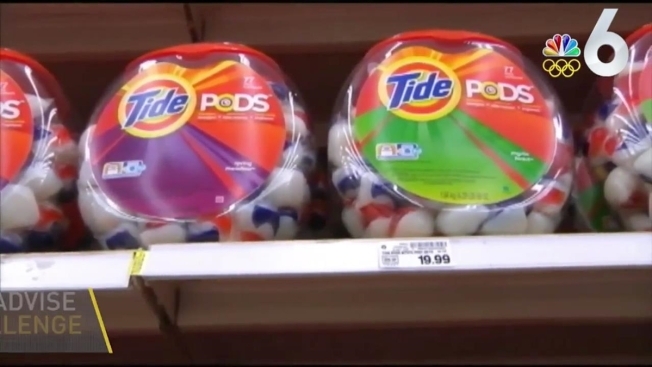 As part of that dangerous trend, people ingested Tide detergent pods and filmed the experience to earn social media cred. At least 10 people died after ingesting the colorful packets of liquid detergent. And some young children under the age of 5 may have mistaken the colorful tablet for candy or another edible item. A spokesperson for Tide’s parent company, Procter & Gamble, reminded consumers that detergent is obviously not meant to be eaten and that the new Eco-Box is clearly labeled.